Categories: Blind Rivets, Tri-Folding, Structural Rivets. TriTite rivets differ from standard blind rivets because they form 3 folded legs on the blind-side when upset. The 3 legs provide a large blind-side footprint and high clamp load. 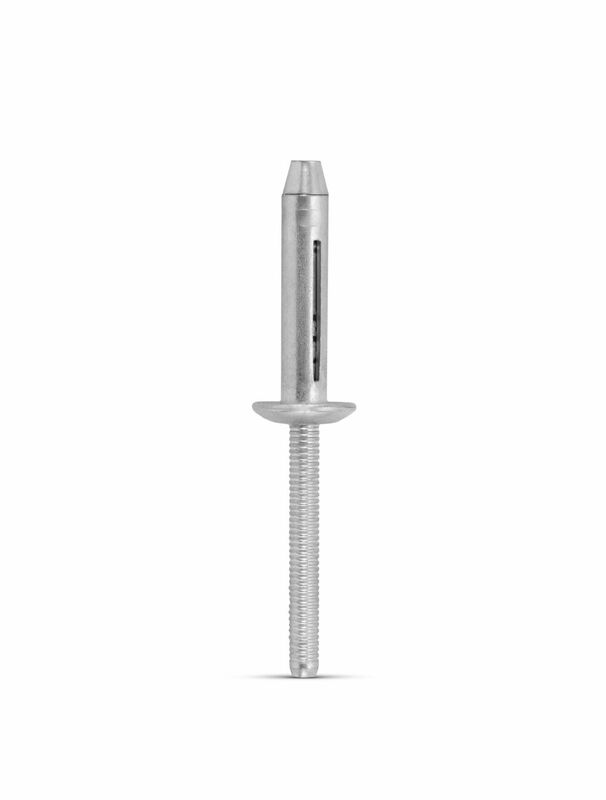 TriTite rivets are ideally suited for fastening soft or sensitive materials. Large hole tolerance, variable material thickness and uneven surfaces are, in most applications, no problem for TriTite. Installed parts are vibration resistant and high strength. When fitted with neoprene washers TriTite rivets can be made air and watertight. Installing with a special nosepiece positively retains pins. TriTite rivets are structural, tri-folding rivets.